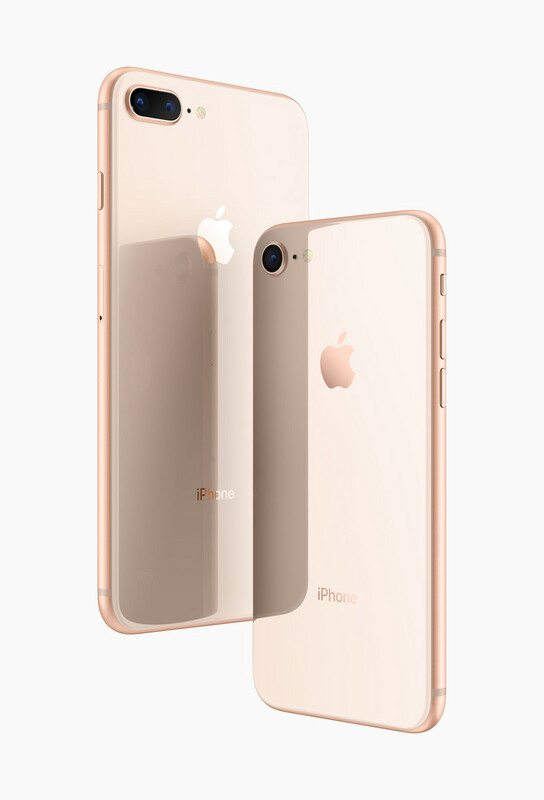 As a successor to the iPhone 7 Plus the iPhone 8 Plus is a logical step-up delivering a much faster experience in a new shell that is somewhat improved. Exciting times are indeed ahead as the iPhone X's DNA is reflected in the iPhone lineup later this year. For it's flagship devices in 2018, for those of us who are tied into the Apple eco-system, we'll be presented with another fait accompli from Apple having to accept that gestures and Face ID will be part of our lives. The iPhone 8 Plus is a 7S Plus in all but name. There are plenty of improvements, yes, but it feels like Apple’s real focus this year has been on the iPhone X. That just isn’t good enough when you consider that the iPhone 8 Plus costs £799/$799. The iPhone X got all the headlines but in many ways the iPhone 8 Plus is a more appealing upgrade. So then, like always, this simply winds down to one thing; iOS. No matter how great the hardware is, the software can still be a major turn off to a ton of people. It’s much more restricted, and if you’re not going all in on Apple’s (expensive) ecosystem, it can offer a lesser experience depending on what you use your phone for. The iPhone 8 Plus is a great phone with a spectacular camera that offers a lot of what iPhone X has under the hood, but in a lot less exciting body. The Apple iPhone 8 Plus is a good phone, but is it as good as similarly priced rivals? Is it even as good as those phones costing much less money? Objectively, the answer to both these questions is no. It’s incredibly fast, has great cameras and it’s dust- and water-resistant – but it’s not the best you can buy. The iPhone 8 Plus pricing starts from Rs 73,000 for the 64 GB variant and Rs 86,000 for the 256 GB variant. But online retailers are already offering discounts on the iPhone 8 Plus thanks to the festive offers. We tested the 256 GB variant of the iPhone 8 Plus. Come to think of it the iPhone X is going to start retailing at Rs 89,000. This generation, the iPhone 8 Plus is not competing with any Android phone, but it is competing with its own elder sibling — the iPhone X. The iPhone 8 Plus is a superb phone and if the iPhone X didn’t exist I’d be perfectly content with it and recommend it without hesitation. But the iPhone X does exist and spending the extra $200 on it means that you get a phone that is easier to handle and has a better display. If you’re paying for the iPhone X on an installment plan, the price difference works out to just 27 cents per day. If you can’t swallow the price difference and really want the iPhone X, I suggest taking a close look at your wireless bill and find a way to make up the difference by downgrading some services that you may not need. Okay, so they’re not the all-singing, all-dancing iPhone X, but these phones are both worth moving up to, especially if you are coming from an iPhone 6s or older handset. However, I’d say there’s enough upgrade here to make it worthwhile from an iPhone 7, too. The iPhone 8 and 8 Plus are the textbook Apple incremental upgrades that many have become blasé to, but are undeniably and fundamentally excellent phones. The iPhone 8 Plus is independently verified as the most powerful smartphone on the market and it's allied to a great operating system and a buzzing ecosystem. It's refinement in a box, with the price tag to match. You get many of the X's features: wireless charging (thanks to the glass back), which is convenient and fun, albeit a little slower than charging with the bundled 5W wired charger; the A11 Bionic chip, which is absurdly fast, and makes this device a mobile gaming beast; Portrait Lighting, a spotty and inconsistent software feature, but one that sometimes produces highly flattering, professional shots with little effort. OK, so here's the deal. If you've got an iPhone 6s or earlier, you should totally upgrade. If you're on the iPhone Upgrade Program or some other plan where you swap out your phone every year, you're good to go. If you bought an iPhone 7 Plus, well, probably not. So, on the whole, the iPhone 8 Plus is definitely a good phone, it is just very boring. Yes there is a new camera, and yes it is very fast – but with the iPhone X on the horizon, I know which device I’d rather wait for. If you want the latest Apple phone now, or you like the ‘tried and trusted’ design, then the iPhone 8 Plus will serve you well. However, the iPhone X looks to bring something new to the table – something the 8 Plus is definitely lacking. We'd be lying if I said the iPhone 8 Plus had enough to offer anyone looking to upgrade from the 7 Plus. Especially given its £800 price tag, and that the 7 Plus has dropped to (an albeit still pricey) £669 since the iPhone 8 launch. It is worth the investment if you’re looking to jump from the 7, and is definitely worth the leap from iPhone 6 and 6s ranges. The main issue, and it’s the same one that raises its head every year, is that you have to switch to Android to get a better phone. If you’re willing to do so, the obvious competitor to the 8 Plus is the Galaxy Note 8. It comes with dual-cameras and a larger 6.3in AMOLED screen squeezed into a body that’s only slightly bigger than the iPhone 8 Plus, but comes at a small premium, costing around £820. Apple recently announced two completely different iterations of their venerated mobile phone. While it is true that most people’s attention were on the iPhone X, the iPhone 8 and iPhone 8 Plus are not to be neglected. Now, we’ll be taking a closer look on the latter device, the iPhone 8 Plus, and see if it really outshines its predecessor. Let’s go! Yes, as I said I would buy this phone just for its camera. In fact, the sheer dependability and performance of this phone is good enough to make it a top contender in the premium segment. However, if you are already using an iPhone 7 or iPhone 7 Plus, the jump might not make much sense. Also, if price is not really a consideration, then it might make better sense to wait for the iPhone X. Till then this is the best phone you can buy. The iPhone 8 Plus is an interesting beast. It’s the safety phone. Hopefully representing the last of its kind, because Apple is obviously ready to move on. Apple is also a victim of their own success though. The transition to the iPhone X will take a little time. Progress on software and services cannot wait for the all-screen iPhone to be the norm. So, is it worth buying the 8 Plus? Personally, I’d go for the Plus-size model over the iPhone 8, since its dual-lens camera makes light work of making any photograph look amazing. For most people, deciding between the two models will probably come down to the devices’ footprints. Just as in previous years, you’ll need to weigh whether you prefer the one-handed ease of the iPhone 8 or the giant screen and longer battery life of the iPhone 8 Plus. There’s no doubt the iPhone 8 Plus borrows a lot of its big ideas from last year’s 7 Plus. However, it puts in the legwork, with a few new ideas, to make the whole experience better all round. The iPhone 8 Plus is a big, chunky phablet that stands out like a sore thumb in the crowded marketplace filled with sleeker rivals. It’s massive, and not in a good way, in an era where a big screen doesn’t have to mean a big phone. That design was ok in 2014, not too bad by 2015, bad by 2016 and downright rubbish in 2017. The main question is whether you should buy this phone or wait for the incoming iPhone X. The greatest question of the next month! Our take is that you should only wait for the iPhone X if you can embrace change. 90% Apple iPhone 8 Plus Review: A better choice than the X? 80% Apple iPhone 8 Plus review: Should one wait for the X? Throughout the review of the Apple iPhone 8 Plus we kept asking ourselves, does it makes sense to ditch the iPhone 7 Plus and skip to this one? The answer was apparent, it can wait. Since we already know that the better iPhone - the Apple iPhone X (ten) is around the corner. With the price tag of Rs 86,000 (256 GB version), one can add couple of thousands and go for the uber-hot iPhone X. Nevertheless, if you are using iPhone 6S/6S Plus or lesser, picking up the iPhone 8 Plus does make a lot of sense. Apple iPhone 8 Plus review blog: Great phone, but should you buy this? As I said, the one significant change here is the glass back. And this is needed to ensure the phone can make the best of wireless charging which Apple is ushering in with the iPhone 8 series. While Apple does not have a wireless charger of its own yet, I got to use the Belkin Boost Up wireless charging pad. Yes, it is quite convenient as you just need to place the phone on top for it to start charging — you need to be careful and keep it back in the middle for this to work. However, I found that wirelessly it takes a bit more time to charge that via the regular mode. Also, I am pretty sure you wont be carrying the wireless charger around in your office bag. This is meant to kept in one place: on your office table or chest of drawers and doesn’t really have mobile intentions. There is a shadow hanging over the 8 series and we guess the Plus could be hit worse than the regular 8. In a typical Apple year, the iPhone 8 Plus would've been the better twin. This time around, it's the middle triplet. We'll know soon enough how bad this can be. But the worst thing is, the imminent iPhone X is making it harder for everybody to notice how good the iPhone 8 Plus really is. The iPhone 8 Plus may promise better augmented reality experiences than its smaller counterpart thanks to its dual cameras, making it the one you should buy. The iPhone 8 Plus is, without a doubt, one of Apple’s most powerful smartphones to date. Although sporting a new number in its name, it still has a strong affinity to the iPhone 7 Plus and we can’t help but compare. That’s because the iPhone 8 Plus is basically the upgraded version of its predecessor, or if we follow the company’s nomenclature, this is could have been the iPhone 7s Plus. Bottom line: if you prefer your iPhone with this more traditional screen shape, or just can't stomach the idea of a $1000 smartphone, go ahead and dive right into the iPhone 8 Plus. But if you can wait just a little longer so you can get a chance to see what the iPhone X can really do, you'll be prepared to make one very informed decision about which vision for the future of Apple smartphones you want to support. When the Plus model first launched as the chunky sibling to the iPhone 6, it felt like a bit of an also ran – a bigger, bulkier iPhone but with little else to offer. Now it feels like the iPhone in the family to buy. The Apple iPhone 8 Plus is a very well-made phone, of that there is no doubt, but there are a number of questions you should ask yourself before you commit. After all, is an awful lot of money to spend on anything, even the piece of tech you use the most. The iPhone X got all the headlines but in many ways the iPhone 8 Plus is a more appealing upgrade. You get many of the X's features: wireless charging (thanks to the glass back), the A11 Bionic chip, Portrait Lighting. And you don't lose the Home button, which means you don't need to relearn the interface and you can carry on using Touch ID. It's also cheaper - and you don't have to wait as long to buy it. If you're looking to stick with iOS, or make the move to it, the iPhone 8 Plus is our favourite in terms of features and (relative) value for money from the three phones announced at Apple's September event. It's still an incredibly expensive handset, but on the right pay-monthly package, it could prove a worthwhile treat. Positive: High autonomy; nice performance; top cameras. Positive: Solid workmanship; nice dual cameras; powerful hardware; wireless charging. Negative: Poor display; expensive. Positive: Excellent display; top dual cameras; high performance; solid workmanship; long battery life. Negative: No headphone jack. Positive: Large battery capacity; powerful hardware; high performance; top cameras. Negative: Relatively high price. Positive: Top hardware; excellent cameras; support wireless and fast charging. 78% Prima volta con iPhone 8 Plus: ecco perché torno ad Android! Positive: Solid workmanship; nice display; decent speakers; excellent main camera. Negative: High price; poor selfie camera. Positive: Excellent display; powerful hardware; high performance; top cameras; quick and wireless charging. Negative: Mediocre design. Positive: Excellent display; top dual cameras; high performance; solid workmanship; super long battery life. Negative: Mediocre design; no headphone jack. Positive: Impressive design; wireless charging; excellent display; powerful hardware; top dual cameras. Negative: Relatively thick and heavy. 90% iPhone 8 Plus Review - Oogappeltje of krachtpatser? Positive: Fast system; flexible fingerprint sensor; top dual cameras. Negative: No headphone jack. iPhone 8 Plus - czy warto kupić flagowy smartfon Apple? Positive: Support wireless charging; bright display; decent cameras. Positive: Stylish design; powerful hardware; high performance. Negative: High price. Positive: High performance; support waterproof; wireless charging; top dual cameras. Negative: No headphone jack; no memory card slot; heavy; high price. Positive: Nice display; powerful processor; good cameras. Negative: Mediocre design. Positive: Impressive performance; nice display; good cameras, long battery life. Negative: Mediocre design; high price. Positive: Nice design; support wireless charging; top display; good hardware; waterproof IP67. Negative: High price. Positive: Nice display; powerful hardware; excellent cameras; high performance. Model: The iPhone 8 Plus may be the sweet spot in Apple's new phone lineup. Its dual cameras will enable better-augmented reality experiences than the iPhone 8, and its bigger screen offers a better spotlight for high-intensity applications powered by the new A11 processor. It is significantly less expensive than the iPhone X. The Apple iPhone 8 Plus has the same design features as the earlier version, except for the fact that this one has a glass back. This feature is more necessity than design, as the new wireless charging option will not work on a metal back. The rest of the phone looks and feels the same, though it is a tab bit heavier thanks to the glass back. The display is better, but not radically different. The A11 Bionic processor has six cores, two of which are "high performance" and four of which are "efficiency" cores. That's more than the four-core A10 and the two-core A9, but the whole core thing is a red herring; it is possible to design a fast processor with few cores or many cores. Bionics is the science of combining biological and electronic parts and methods, so it is referring to the new Neural Engine. The Neural Engine is a custom block of the A11 dedicated to machine learning. On the iPhone 8 Plus, it does not do much yet, although it is involved in scene recognition in the camera app. However, iOS 11 includes an API called CoreML that helps third-party developers integrate machine learning into their own apps. The iPhone 8 Plus comes with 3 GB RAM to handle multitasking. The 8 Plus has dual 12-megapixel cameras, a regular one with f/1.8 aperture and a 2x telephoto one with f/2.8. There is also a 7-megapixel front-facing camera with f/2.2 aperture, the exact same one as on the iPhone 7 Plus. Besides that, it also features a new color filter, deeper pixels and optical image stabilization for photos and videos. The new camera modes that use these two cameras also require some extra processing. Also, long 4K shoots do not seem to bother this phone at all. The iPhone 8 Plus has clearly won in all competitions in terms of speed and image quality. Two new features have come aboard for video. The phone can now record 4K video at 60 frames per second, and slow-motion 1080p video at 240 fps. With 24, 30 and 60 fps options for 4K video, the iPhone 8 Plus outpaces its Android competition (and older iPhones) in giving videographers a range of viewing styles. The battery life on the iPhone 8 Plus is the same as the iPhone 7 Plus's, which is good considering that the new phone has a lot of new features, a brighter screen, and a better camera. It also supports wireless charging with all the popular Qi-compatible chargers. Apple A11 Bionic GPU: First integrated GPU that was designed by Apple and not licensed by PowerVR. Modern games should be playable with these graphics cards at low settings and resolutions. Casual gamers may be happy with these cards. » Further information can be found in our Comparison of Mobile Graphics Cards and the corresponding Benchmark List. A11 Bionic: System on a Chip (SoC) from Apple that integrates a processor (six 64 Bit cores, 2 performance and 4 power saving cores). Compared to the A10X, the A11 can use all six cores. However, also the single thread performance was improved.» Further information can be found in our Comparison of Mobile Processsors. 84.04%: This rating should be considered to be average. This is because the proportion of notebooks which have a higher rating is approximately equal to the proportion which have a lower rating.